loaded onto the new jetty. 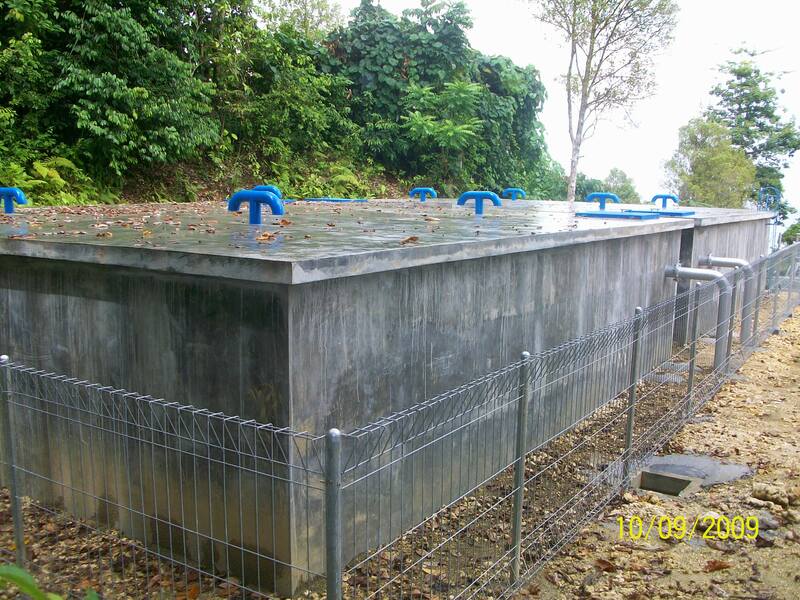 NWC constructed a reservoir in a remote region of the Acehnese island of Simeulue in cooperation with the Norwegian Red Cross. Difficult terrain and a near-total lack of infrastructure presented special challenges. Importing sand and gravel from the mainland required the construction of a jetty, which still serves the community today. The reservoir was constructed on a hill to provide a simple and low-maintenance gravity distribution system.